Enterprises that are able to eliminate paper from one or more processes are likely to see a number of positive results from doing so. Included in these are cost savings, recovered time for workers across departments, reduced impact on a number of operational resources, and an overall productivity boost. But while the benefits of creating digital workflows are significant, the act of digitizing workflows is not a simple process. It requires preemptive organization, and a hard look at the documents and internal content that is the most important. Oftentimes, shedding this content is one of the hardest sells for employees who’ve become attached to their processes and papers. Digitalising workflow processes helps reduce cost and time – and as a result improves productivity as there is less room for error as well. Additionally, it also promises security at the highest level. Workflow Digitalisation System (WDS) enables businesses to conduct and manage electronic transactions without paper and manual work. It helps to streamline different workflow processes that can sometimes hinder productivity. 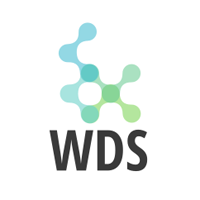 WDS can really improve processes that often include the passing of assets/services between various parties like business and consumer, business and client, and business and employee. Make a request to receive our latest product catalogue for new ideas, inspiration and our services! No. 01, St. Alban's Place,Colombo 4, 00400, Sri Lanka. We are specialized in providing cutting edge RFID, IoT and NFC solutions. We are also expertized in re-designing the current service delivery model through innovations and enabling technologies. © 2018 Eimsky Business Solutions Pvt Ltd. All Rights Reserved.